Morning sickness is considered normal, and inevitable. But, did you know that by dealing with the underlying cause you can eliminate the symptoms? I remember distinctly my first pregnancy. I was sitting in church, and I kid you not, I could smell someone with dirty hair two rows back. To say I was sensitive that first pregnancy would have been an understatement. If I was eating I was gagging. My purse was full of granola bars and nuts and cheese, like a squirrel hiding way provisions for winter. I learned the art of eating literally anywhere. And any time–because morning sickness is a misnomer. It was morning, afternoon, evening and night sickness. Am I right? I can laugh about it now, but for women all over the world morning sickness is no joke. From the mild (I feel queasy all the time) to the severe (I cannot stop vomiting and cannot eat anything at all), it’s one of the worst parts of pregnancy. It takes what should be a joyful and empowering experience and turns it into a trial by fire. And conventional caregivers say that there’s nothing you can do. You are either predisposed to it or your not. Sure, there are coping mechanisms, but no real way around it. Wait it out, they say. It’ll probably pass after the first….or second….trimester. 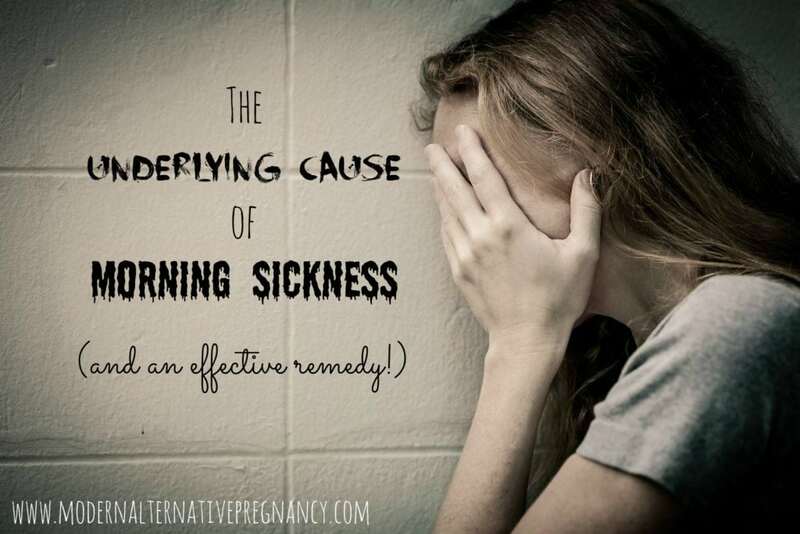 But, is that true that nothing can be done about morning sickness? There is a growing body of research linking morning sickness to mineral deficiency, specifically, magnesium deficiency. A hundred years ago magnesium deficiency wasn’t a thing. People relied on natural sources for their water–such as streams, springs, rivers, and wells–that were full of essential minerals. And their food came from soil that was rich in nutrients, because of grazing, eating wild, and polyculture farming. But, now our soil is so depleted and our water ultra-filtered. We just aren’t getting the magnesium we used to. Magnesium is essential for controlling cortisol levels. In its absence, cortisol is not properly regulated in our bodies leading to sharp spikes and crashes of our blood sugar, leading to nausea. Soak daily in Epsom Salt. Your skin being your body’s largest organ, it can absorb minerals and nutrients really well. To take an effective soak, you should use a generous amount of Epsom Salt (several cups in the bath) and stay in the water for at least 30 minutes. I have shared how bone broth helped solve the muscle cramps I experienced in pregnancy. It can also be a great way to get more minerals in your diet to ward off morning sickness. This is an all natural, GMO-free, gluten free, drug-free remedy. 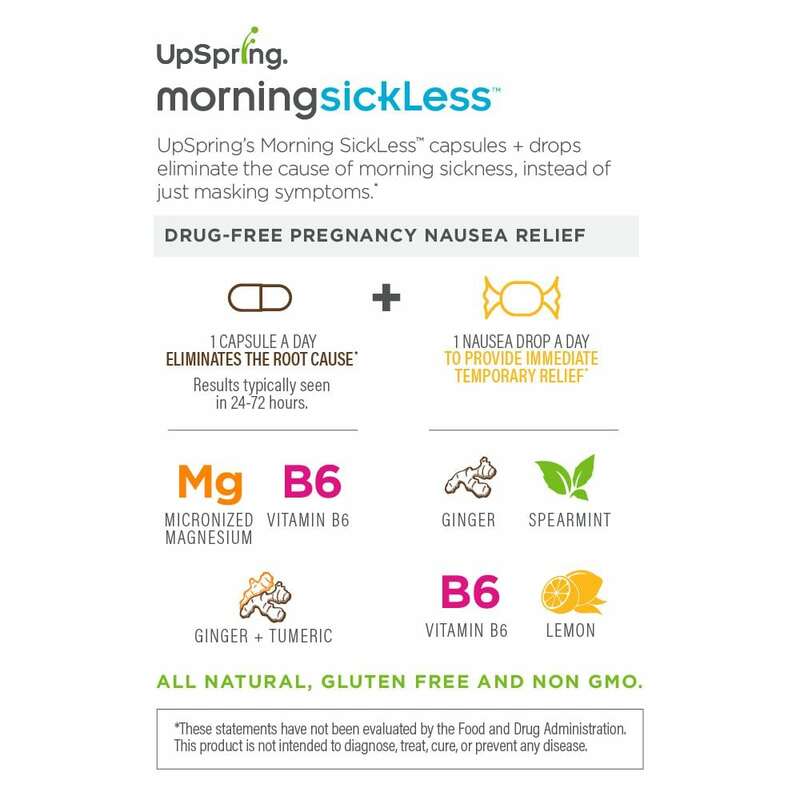 Morning Sickless contains micronized magnesium, along with micronized ginger and vitamin B6, which all help address and eliminate the root causes of morning sickness. Micronization reduces the particle size, making each ingredient more easily and more quickly absorbed. Here’s how it works: you take the drops immediately to feel better because when you feel awful, you can’t feel better soon enough! They will offer quick relief. 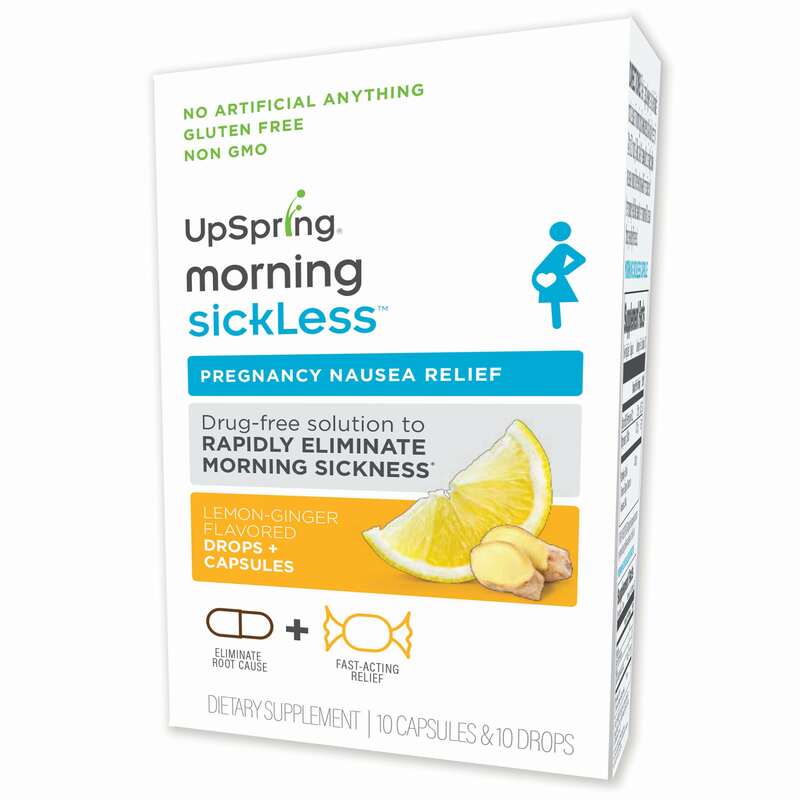 And you take the capsules for several days and the underlying cause of morning sickness is corrected, eliminating the morning sickness in 72 hours. You can go ahead and hashtag that #brilliant. How about you? 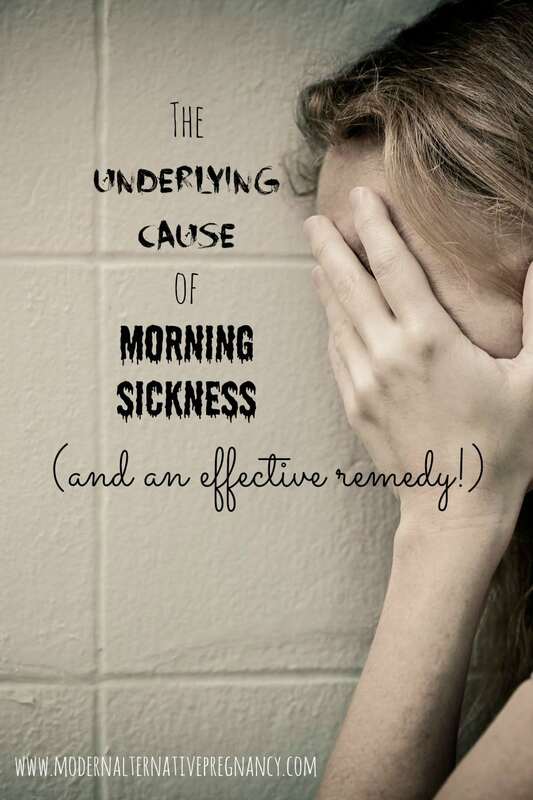 Do you suffer from morning sickness? How do you deal with it? An article full of information and interesting! I’ve read about the dangers of nanoparticles and am wondering if this is a safe thing to be taking? Is this post here purely for promotional purposes, or because it is a truly natural and safe thing to take? Are the nutrients in it food based and organic? Very interesting theory. Historically women with severe morning sickness would die. It was actually a leading cause of maternal death. So to say that people didn’t have magnesium deficiency in the past, and that magnesium deficiency is the cause of morning sickness doesn’t follow logically. Of course I’ll probably go get some magnesium to see if it helps since I’m 10 weeks pregnant and desperate to feel better. […] are at extra risk for anemia if you’ve had heavy periods before pregnancy, are vomiting frequently, or have a history of anemia.